Diabetes is a metabolic condition characterized by high blood sugar levels. These high blood sugar levels can cause nerve damage, also called diabetic neuropathy. While diabetic peripheral neuropathy is the most well-known type of nerve damage, there are several other types of neuropathy that can be associated with diabetes. However, regardless of the type of diabetic neuropathy, the best way to alleviate or slow the condition is through careful blood sugar level control. There are plenty of ways to simplify meal planning for those with diabetic neuropathy. Carb counting is a good method for number-oriented people, while those who are very visual might do better dividing and planning their plates. Talk to a nutritionist and try a few methods to find the best way. The goal of proper diabetes management is to maintain a relatively constant blood sugar level, so be mindful of anything that can cause blood sugars to spike or drop unexpectedly. Accidental spikes in blood sugar usually result from confusion about carb or sugar content. For example, the per serving and number of servings listed on nutritional labels can be tricky. If a package of snack crackers lists its carb content as 15 grams per serving but contains 2 servings, this means that the entire package contains 30 grams of carbs. Unexpected drops in blood sugar can be harmful, too. Medicines that control diabetes are an important part of treatment, but their job is to lower blood sugar levels. Sometimes they work too well. Sometimes your eating habits change for some reason, which could affect how much medication you need. This is why it’s important to monitor blood sugar throughout the day. If blood sugar levels are consistently too high or too low, check with a physician about adjusting your medication. Also ask your physician about dietary restrictions related to medications, since there are some medications that have dangerous interactions with certain foods. Exercise is an excellent way to lower blood sugar, but too much can cause sugars to drop too low. Again, checking blood sugar levels after activity is vital. It may also be a good idea to carry a sugary candy or juice, in case a quick blood sugar boost is needed. The American Diabetes Association has several suggestions about how to handle holidays and parties with a diabetic child, but lots of the suggestions apply to adults with diabetes, too. For example, plan ahead and look up nutritional values. Talk to the host to find out what’s in a dish. Look up fresh fruits and vegetables online. Educate yourself about what you’re going to be eating so you can be prepared. Also consider bringing something to share that’s within your dietary limits. This way, you’re guaranteed to have something you can eat worry-free. There are plenty of ways to make traditional recipes healthier, like swapping whole milk for skim. If you’re dining out, check websites like Nutritionix to find options that fit your meal plan. Lots of restaurants serve very large portions of food, so don’t be afraid to take some home. Consider asking for a box when you order your meal and boxing half your meal as soon as it’s brought to the table. If you’re still hungry after eating half the meal, have some more, but often half of a restaurant’s portion of food is enough. Alcohol can also mess with blood sugar, sometimes causing it to drop or behave unpredictably, so be extra careful if you’re indulging in a drink or two. If planning meals in advance doesn’t work, or if there’s something sugary that’s just too good to pass up, do a little exercise to burn off the extra blood sugar. It’s fine to indulge a little on Halloween, even if you have diabetic neuropathy. Choose a couple favorite treats carefully, putting quality over quantity. Also check out this helpful list of carb counts for popular Halloween candy, courtesy of the American Diabetes Association. As with any special occasion, keep an eye on blood sugar levels. Remember that exercise is a great way to keep blood sugar levels from getting too high, so trick-or-treating with the kids might help you. Bring along the glucometer so that if you feel off, you can make sure your blood sugar isn’t dropping too low. Also, keep an eye out for teal pumpkins, especially if your kids are diabetic, too. The Teal Pumpkin Project was started by the Food Allergy Research & Education (FARE) organization as a way to make sure kids with food allergies can still take part in trick-or-treating, but it can be great for diabetics, too. A teal pumpkin denotes a house that’s offering non-edible treats, like stickers or small toys. People with diabetic neuropathy also need to be extra careful about all the walking that goes along with trick-or-treating. The peripheral type of diabetic neuropathy is often accompanied or characterized by numbness in the feet, which is why it’s important to do regular checks for injuries. A small cut or sore can go unnoticed and become infected very easily. When doing a lot of walking, like with trick-or-treating, there’s a high risk of developing blisters or sores without realizing it. To make sure this doesn’t happen, be sure to wear good shoes that fit properly. If you’re doing a whole lot of walking, consider taking a break once in a while to take your shoes and socks off to check for signs of irritation or blisters. 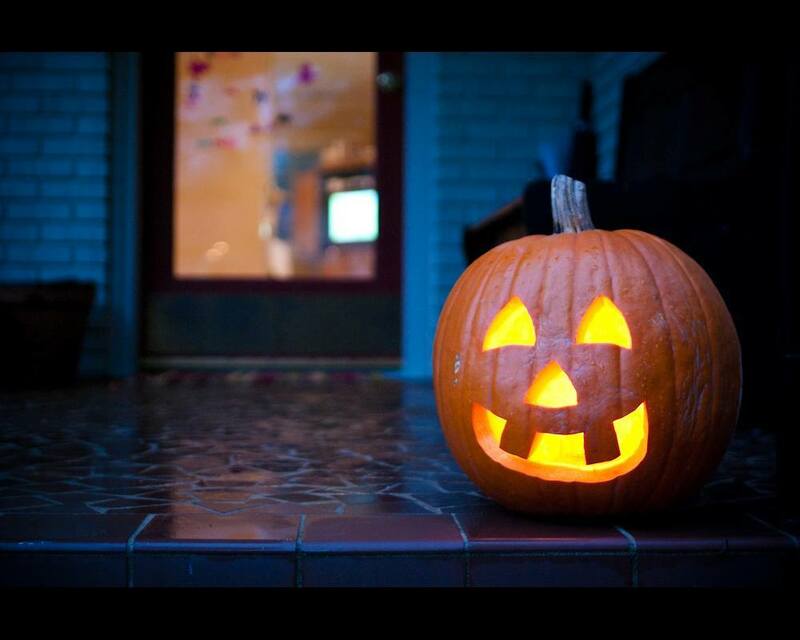 How will you handle your diabetic neuropathy on Halloween?